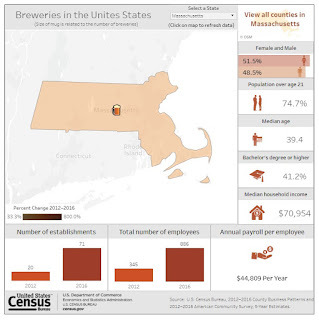 Franklin Matters: US Census: "Microbrewery Business is Hopping"
"According to the County Business Patterns program, between 2012 and 2016 (the most recent available data), the total number of breweries skyrocketed from 880 to 2,802. Of that total, 2,605 had 49 or less employees. These small businesses employed over 55,000 workers with a total annual payroll of $2.6 billion. 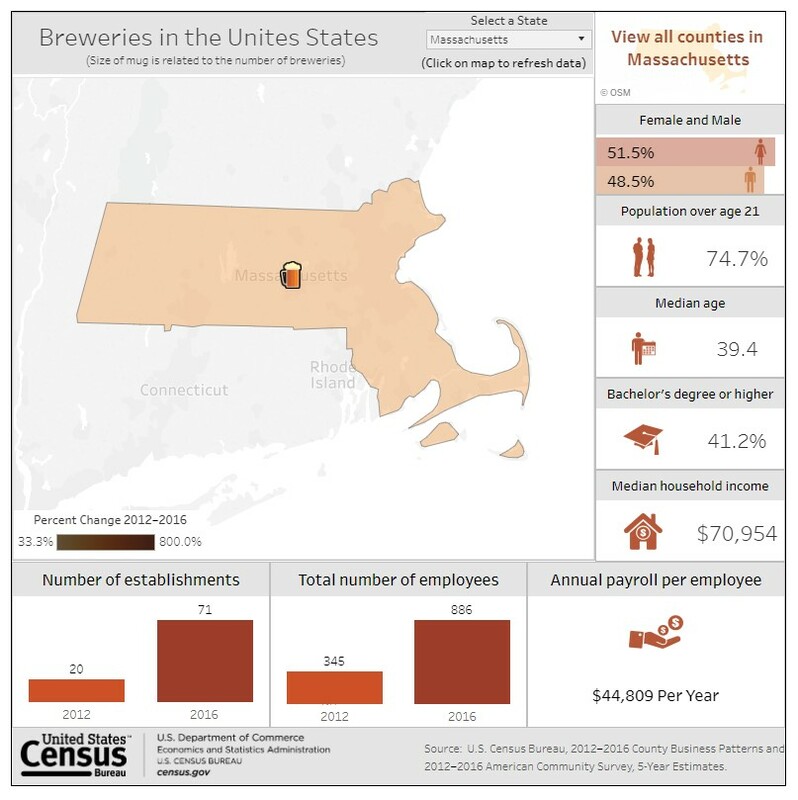 Keep in mind that these data only include businesses classified as “breweries.” Businesses that brew their own beer (restaurants and brew pubs) but are classified in other industries which are excluded from these statistics. If these other businesses had been included, the number and growth over the last five years would be even greater."